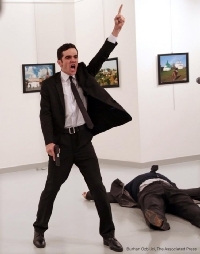 Turkish photographer Burhan Ozbilici won the World Press Photo of the Year. The 57th Venice Biennale has revealed the list of 120 artists participating in the international exhibition “Viva Arte Viva” curated by Christine Macel. These ’80s Artists Are More Important Than Ever. Berger reflects on the nature of ‘public’ criticism, on the difference between interpretation and judgement. More than sixty years on, his forthright position still resonates today. In one of his final interviews with the Observer’s Kate Kellaway, he gives his view on the Brexit vote: "It seems to me that we have to return, to recapitulate what globalisation meant, because it meant that capitalism, the world financial organisations, became speculative and ceased to be first and foremost productive, and politicians lost nearly all their power to take political decisions – I mean politicians in the traditional sense. Nations ceased to be what they were before". Annual look at those who are rendered powerless by a system that continues to impact all of our lives. National Arts Council (NAC) confirmed that it received the request from the Venice Biennale 2017 project team to withdraw curator June Yap and project manager Neo Kim Seng from the artistic team. 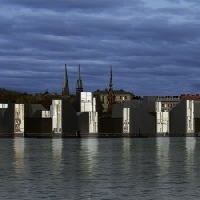 Controversial plans for a new outpost of the Guggenheim museum in Helsinki have been rejected by Finnish city councillors after a five-hour debate. TIME has worked with curators, historians, photo editors around the world to assemble a list of the 100 most influential photographs of all time. What all 100 share is that they are turning points in our human experience.